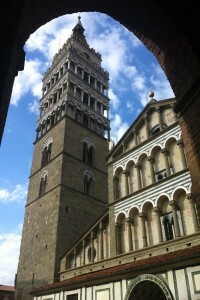 The Duomo of Pistoia | Che Bellezza! One hour tour discovering the treasures held inside the Duomo of Pistoia, a splendid example of Romanesque architecture in Tuscany. 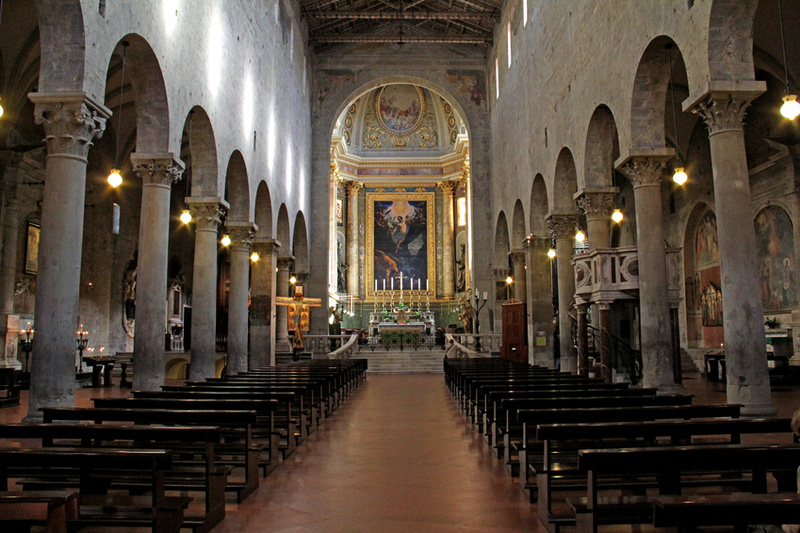 The San Zeno Cathedral, with its three orders of loggias, the beautiful 14th-century porch and the typical two-coloured (white and dark green) marble facade, is the religious “heart” of the central Piazza del Duomo. The two marble statues of San Zeno and San Jacopo, the two patron saints of Pistoia, welcome visitors from the top of the facade, while the exterior porch is decorated with wonderful works in glazed terracotta made by Andrea della Robbia. 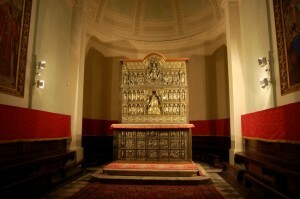 The austere interior in Romanesque style, with the floor of the presbytery raised above the crypt and three naves divided by columns, houses a fine exhibition of sculptures, such as the baptismal font made by Benedetto da Majano, the tomb of the Dolce Stil Novo poet Cino da Pistoia (Dante’s friend) and, above all, the wonderful Silver Altar of San Jacopo, a masterpiece of sacred jewelery made, among other artists, also by a young Filippo Brunelleschi. These extraordinary works and much more await you in one of the most beautiful churches of Tuscany! Come to visit it with us! 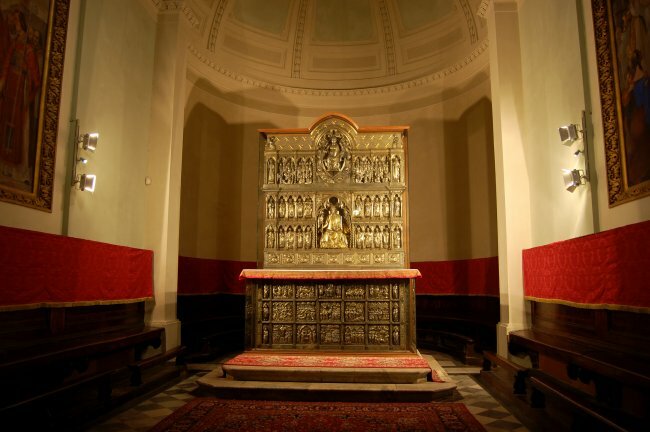 The cost does not include the entrance ticket for the Altar of San Jacopo: € 2 per person.